Below is the list of relevant Websites on the meteorological or the environmental field compiled and selected by the WMO Library. 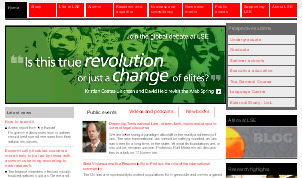 You can search a Website by clicking in "Refine your search". It will display search criteria: search by title or by editor, by topic or by language. You can also sort the list by using the a-z box. 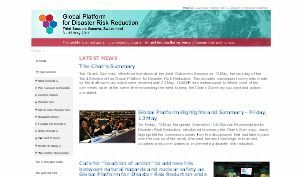 The Global Platform for Disaster Reduction was established in 2007 as a biennial forum for information exchange, discussion of latest development and knowledge and partnership building across sectors, with the goal to improve implementation of disaster risk reduction through better communication and coordination amongst stakeholders. 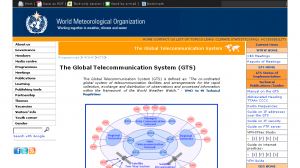 The Global Platform is managed by the UN International Strategy for Disaster Reduction. The Global Platform for Disaster Risk Reduction is now the world’s foremost gathering of stakeholders committed to reducing disaster risk and building the resilience of communities and nations. 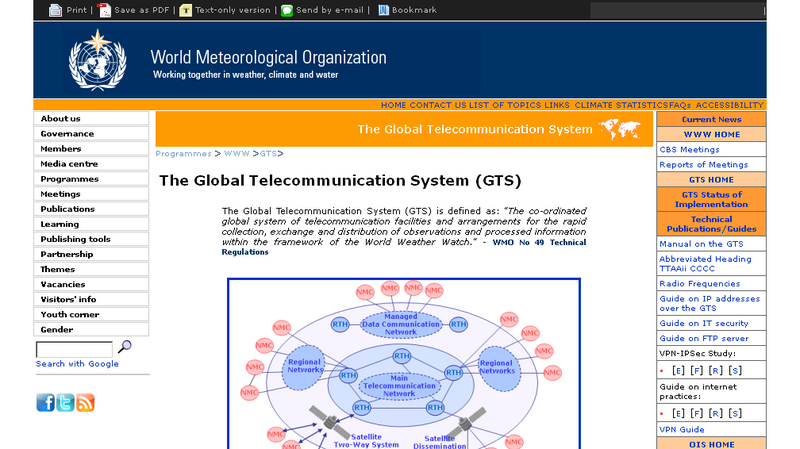 The Global Telecommunication System (GTS) is defined as: "The co-ordinated global system of telecommunication facilities and arrangements for the rapid collection, exchange and distribution of observations and processed information within the framework of the World Weather Watch." 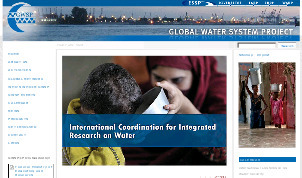 GWSP research supports global assessments of water, and the development of adaptation strategies with the appropriate scientific basis. GWSP coordinates and supports a bold research agenda to understand this complex system with its interactions between natural and human components and their feedbacks. The mission of the Grantham Research Institute on Climate Change and the Environment is to be a world-leading centre for policy-relevant research, teaching and training in climate change and the environment. It is now generally acknowledged that the global climate is changing, as the earth becomes warmer. This change has the potential to affect human health in a number of ways, for instance by altering the geographic range and seasonality of certain infectious diseases, disturbing food-producing ecosystems, and increasing the frequency of extreme weather events, such as hurricanes. 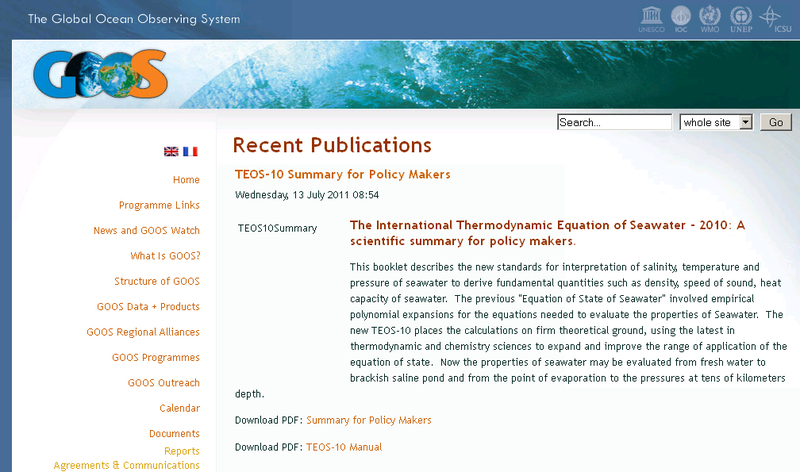 The HEWSweb service has dedicated pages for each type of hazard (see top navigation bar). This includes dedicated pages for floods, storms, locust, volcanoes, earthquakes, weather and other hazards. The Historical Hurricane Tracks website includes tropical cyclone data and information on coastal county hurricane strike data through 2011 while also providing links to detailed reports on the life history and effects of U.S. tropical cyclones since 1958. HOMS is the acronym for the Hydrological Operational Multipurpose System established by the World Meteorological Organization for the transfer of technology in hydrology and water resources. As the world enters the 21st Century, it faces many challenges, above all that of establishing a sustainable way of life that would not threaten future generations. One of the essential elements of life on this planet is freshwater. Sustainable development therefore demands sustainable management of the world's limited resources of freshwater. 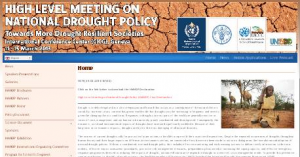 Water resources cannot be managed, however, unless we know where they are, in what quantity and quality, and how variable they are likely to be in the foreseeable future. Techniques used for calculating discharge based on the measurements of one or more ancillary variables. 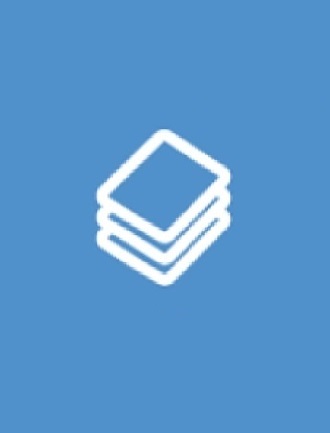 The Hydrological Information Referral Service (INFOHYDRO) is a service for the distribution of hydrological information to the member countries of the World Meteorological Organization (WMO), and their experts, agencies and enterprises engaged in projects related to water-resource assessment, development and management. 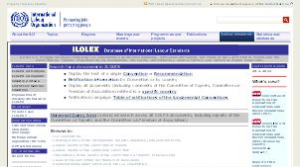 ILOLEX es una base de datos trilingüe que contiene los Convenios y Recomendaciones de la OIT, ratificaciones, comentarios de la Comisión de Expertos y del Comité de Libertad Sindical, reclamaciones, quejas, interpretaciones, estudios generales, y numerosos documentos vinculados.